Started with the concept of camps way back in 1997, the Blossom Hotel & Resort Kasauni has come a long way since its inception. 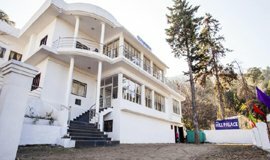 Today, Blossom Hotel Kausani stands as a cluster of rooms, huts and cottages providing panoramic beauty of the ice-peaks from this natural floral resort. 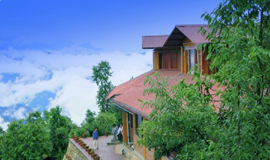 TG Stays View Point offers free breakfast to its guests. 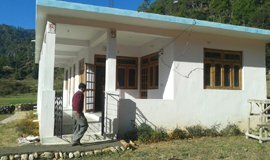 This property in Kausani is located at a distance of 14 km from Rudradhari Waterfall. 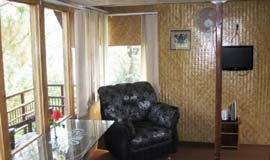 It comprises of 8 spacious rooms. 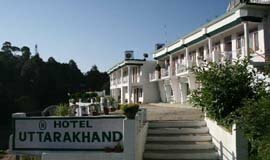 Hotel Uttarakhand is a hotel in Kausani. 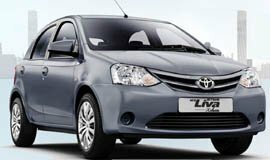 It is located at 28 km from the Binta Bus Stand. It operates a 24-hour front-desk facility to assist its guests. It is at 0.1 km from the Dr. Sumitranand Pant Museum. 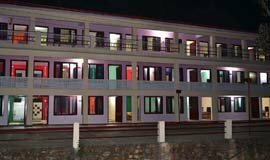 J.K.Village Resort, a budget hotel in Kausani provides a pleasant stay in its three cottages rooms attached with a kitchen. 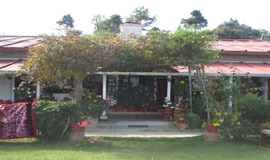 The Heritage Resort is situated 1 km away from the Kausani bus stop. 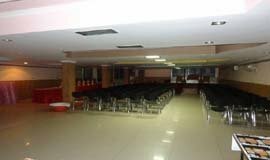 It offers free Wi-Fi facility to patrons. 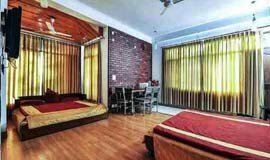 Guest can avail pick and drop facility on surcharge basis. 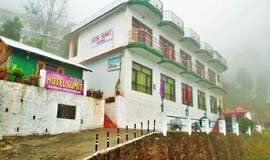 Sumit Hotel is located at a very picturesque location in Kausani amidst the lap of nature in a peaceful, calm and serene environment, naturally blessed with breathtaking views of the snow clad Himalayan ranges. 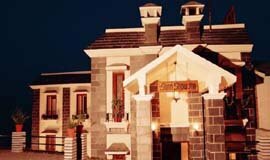 Sumit Hotel has the best of the facilities required for a peaceful and comfortbfle stay. 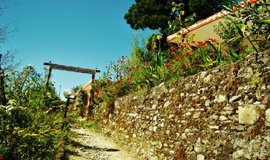 The Sun n Snow is located on Bageshwar Road near the Anashakti Ashram raised in Gandhiji's memorial. 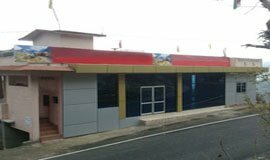 The nearest railway station is at Kathgodam bfout 140 kms away, while the bus stand and the market is just a kilometer away. 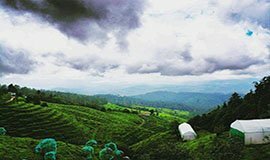 Forget theday to day stress and experience the breathtaking views of the snow clad peaksof the Kumaon Himalayas and tea garden. 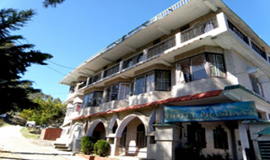 Aashritha Hotel, operating 24-hour front desk, provides accommodation in Kausani. 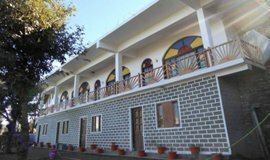 It is located at 2 km from the Anashakti Ashram and at 55 km from the Kukuchina Bus Stand. 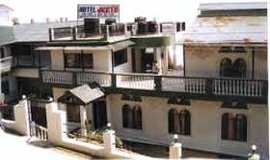 A hotel in Kausani, Jeetu Inn is accessible from the Loadh Bus Stand at 22 km. 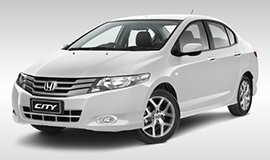 It provides Wi-Fi internet access to all the guests. 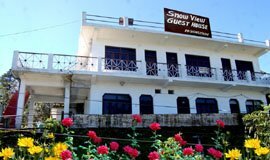 Snow View Guest House can be reached from the Chanoda Bus Stop (9 km) and is at 55 km from Almora. 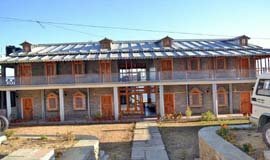 The guest house has 6 rooms spread across 2 floors. 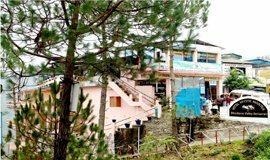 Nestled in the lap of nature, Hotel Grand National in hill station Kausani offers unobstructed breathtaking views of misty mountains, lush greenery and beautiful valleys from the hotels window. 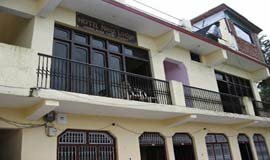 Shivam Guest House is located in Kausani that provides its guests with a front desk and room service. 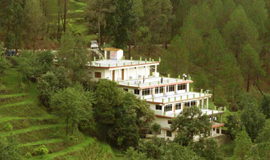 It is situated (164 km) from Naini Saini Airport and (10 km) from Rudrahari Mahadev Temple. 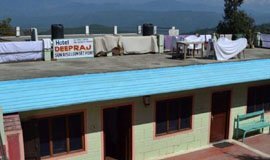 Providing accommodation in Kausani, Deep Raj Guest House is accessible from the Chanoda Bus Stop, which is 9 km away. 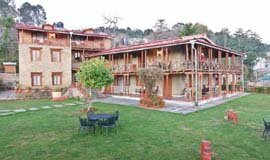 An excellent hotel in the lap of nature, Hotel Vishaka Palace in hill station Kausani is an ideal place to spend vacation far away from the buzz of the city. 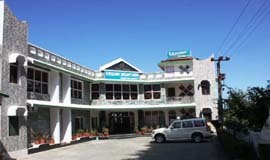 Situated in the sanctified land of kausani,Dev Bhomi (Uttrakhand). 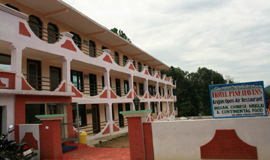 Hotel Rudraksh Palace is a very best hotel to stay. 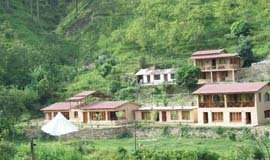 Pug's Paw Eco Retreat - An Ethnic Village is located amid the beautiful landscapes. 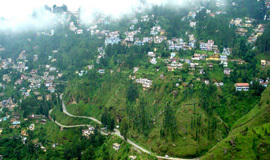 Kausani is a hill station located in Bageshwar district in Uttarakhand. 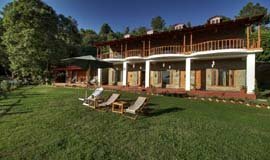 Exploring the Kausani Tea garden,Glaciers,famous Baijnath temple entitle All seasonsz.com with the budgeted,luxurious,standard Kausani hotels Resort which gives you homely feel. 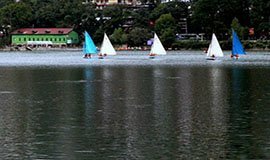 Kausani is known as a "Swtizerland of India",it is the ideal destination for those travellers who need to appreciate the magnificence and tranquility of nature. 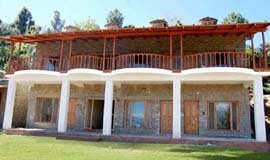 It is pleasant hill station and offers delightful perspectives of great himalayas. 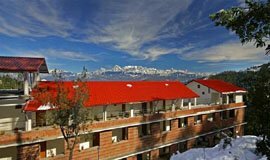 Due to its comparability with the scene of Switzerland,Kausani is without a doubt a remarkable area for nature-lovers. 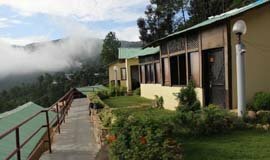 Kausani tourism with its talented area offers glorious perspectives of pine trees in the midst of Someshwar valley side that can't be left unrecognized..Hotels in Kausani provide best accommodation facilities and services. 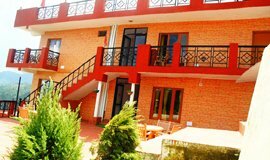 Through allseasonsz.com you can book good Kausani hotels online in advance,available in affordable rates and prices.Use the links in the list above to cherish the accommodation of your choice. 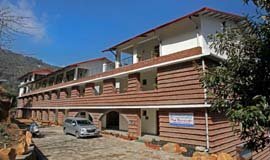 In actual there are 62hotels in Kausani reviewed by the travellers. 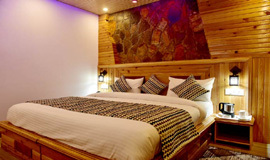 The most popular Kausani hotels are Suman Royal Resort,Chevron Mountain Villa,Sun N Snow Inn,Kausani Best Inn, Nature Valley Resorts, The buransh, Hotel Uttarakhand etc. 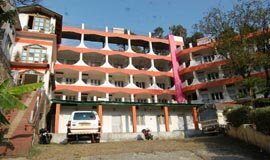 The lowest available tariff for Kausani hotel deals are available at Rs.799. 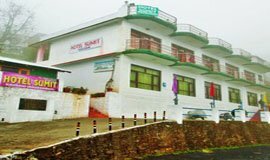 You can search for Kausani Resorts (11) Kausani Hotel (19) Kausani Self-catering/Villa/Cottage (3) Kausani Tent/Camp/Caravan (2) Kausani Home Stay (3) Kausani Guest house/Hostel/Lodge (6) Kausani Boutique hotel (2). 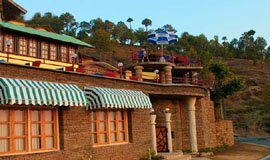 There are wide range of hotels in Kausani for families,friends ,groups,kids,nature lover,for weekend break and mainly for honeymoon couples,as Kausani is considered one of the best honeymoon destination of Uttarakhand. 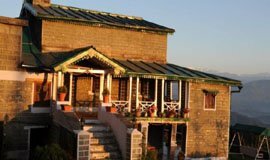 Kausani also called "Switzerland of India", is the ideal destination for those tourists who need to appreciate the magnificence and peacefulness of nature.Kausani is a pleasant hillstation,which is situated at an elevation of around 1890 meters from the sea level, in the Bageshwar area of Uttarakhand. 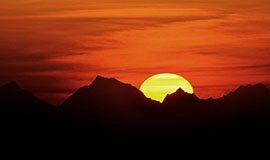 This spot is famous for its picturesque quality and the awesome perspectives of the great Himalayas. 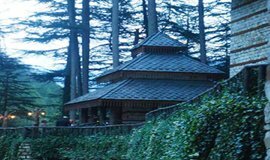 A lavish slope top in the midst of thick Pine timberland, with a directing perspective of Someshwar valley on one side and Garur and Baijnath Katyuri valley on the other Side. 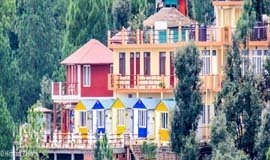 Far from the hustle-bustle of prominent hill stations in India, this is an immaculate destination for the individuals who are searching for a quiet and tranquil occasion. Amongst the excellent grand vista of Kausani lie some lovely places and frightened sanctuaries that are worth visitingst the excellent grand vista of Kausani lie some lovely places and frightened sanctuaries that are worth visiting.Kausani earned its reputation of getting to be one of the top spots to visit in Uttarakhand owing to peace, quietness and tranquility, rich green wildernesses, Himalayan Views, Sunrise and Sun-set point and acclaimed vacationer spots like-Anashakti Ashram,Lakshmi Ashram, Tea Gardens,Suitra Nandan Pant Museum. 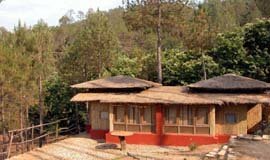 Perfect spot to spend through 2 Nights or 3 Nights on your trek and can appreciate the closeness to nature. 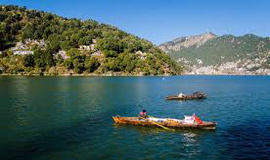 Other must see spots to visit around Kausani are Bageshwar,Baijnath Temple,Pindari Glacier - a trekking heaven. 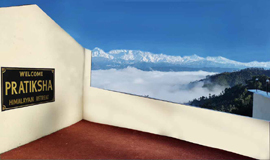 The temperature of Kausani varies between 25 ℃ and 2 ℃ throughout the year. 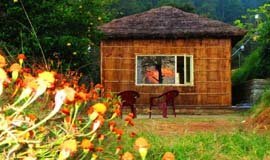 April to June and September to November are the best months to visit Kausani, as during this time, the flora is in full bloom and temperature is extremely pleasing. 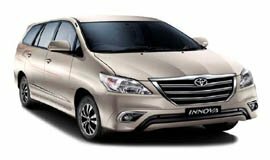 Kausani can be reached easily by car, taxi or by luxury bus coaches. 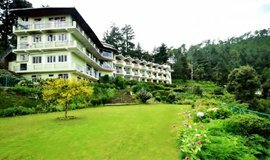 Book Online Kausani Hotels Resorts packages 2,3,4,5,Star,avail upto 56% discount find real hotel accomodation details,contact address,room information,location,how to reach @ Allseasonsz.com-Uttarakhand largest online travel company since last 20 years.